This 63 piece puzzle is a gret puzzle for young children. 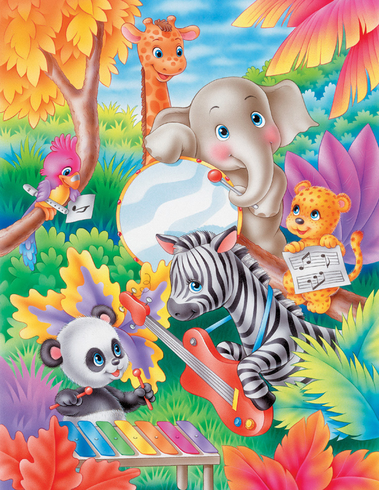 The bright jungle colors and fun band will keep them coming back for more! Full puzzle measures 11.5"x15". This puzzle is Eco-Friendly and printed with Soy-Based Inks on Recycled Board. Proudly made in the USA.